Drones are amazing little gadgets that have been doing us a world of good for plenty of years already. However, with drone tech becoming cheaper and more advanced with every passing generation, there are lots of amateurs that are getting their hands on technically capable equipment. Mainly, I am referring to 4K drones such as DJI Mavic or DJI Phantom series since these are the most popular ones. However, some of these amateur aerial photographers are making our hobby look bad. Not like it’s already on a very bad reputation all across the globe. You see, there’s a gentleman that shot an up-close video of an Airbus A380 Jet taking off. The location was at the Plaine Magnien airport on the beautiful island of Mauritius. Needless to say, such an act is illegal and outright stupid… but hey, there’s all sorts of people out there. Reckless flying such as this one can lead to a massive catastrophe but I’m afraid the person who shot this video didn’t even think twice about what he could cause. But how did it got to this? Aren’t there some sort of protective systems that deny flying in areas close to airports. Well, there is… Newer high-end drones come with NoFly Zones embedded into their firmware but there are usually not enough to stop potential thrill-seekers. Yes, even though certain high-end drones indeed to have NoFly zones incorporated into their firmware, it’s still a long shot to stop potential lawbreakers. How come? Well, some can simply be completely turned off while others are susceptible to bypassing one way or another. The end result – amateurs can still get their drones to fly in dangerous locations and there is pretty much nothing there to stop them. Except for common sense, but I guess they don’t have that, do they?! However, there’s another issue with the Plaine Magnien airport. You see, certain drones do in fact recognize it as a NoFly Zone… but the radius is too small for such a runway meaning that the drone could’ve easily had NoFly zones turned on and still be able to record the video. Also, some people are suggesting that this video is not illegal simply due to the fact the drone was outside of the NoFly zones. Of course, it is! Just because there is a misunderstanding with the NoFly zone area doesn’t make this flight any less illegal. In fact, it’s not just illegal but outright stupid as well. I mean, why on Earth would you record an Airbus takeoff from such a close distance. There’s a ton of things that could’ve gone wrong and the outcomes could’ve been catastrophic. These types of drone users are what’s pushing our hobby down and making a bad name for it. This is among the reasons why people don’t like drones in the first place. Yes, I am triggered by this flight and the pilot’s irresponsible behavior, and so should every drone lover be! Once again, as far as the public knows, the flight was recorded next to Plaine Magnien airport on Mauritius. The plane taking off seems to be Airbus A380 but unfortunately, the exact flight number still hasn’t been figured out. 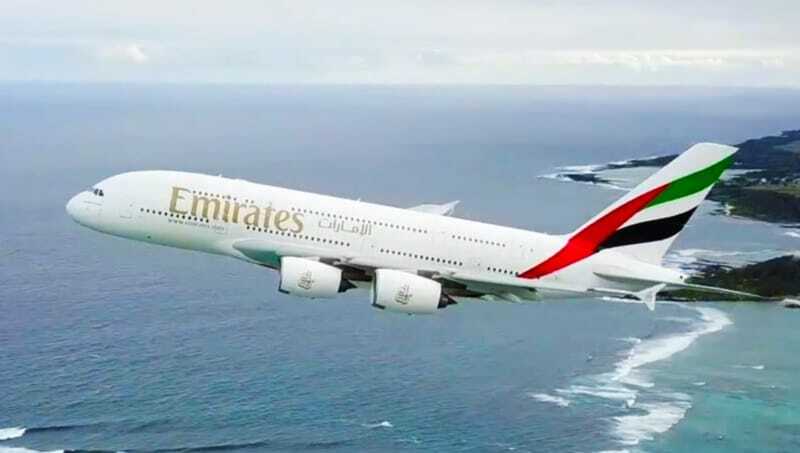 Some people suggest it was a flight connecting Mauritius to Dubai but so far it has not been confirmed. Many people are also talking about what sort of a drone was used to record the footage. Some suggested it was the likes of DJI Mavic Pro or DJI Phantom, but such claims quickly broke down. How come? Well, the video shows camera zooming in and out several times and there is only a handful of drones with a zoom feature. The most likely model is the all-new Parrot Anafi (read Parrot Anafi review here) which is known to produce a similar zooming effect to the one seen in the footage. But how did the public learn about this video? Well, it originates from a facebook post uploaded by a man called Thierry Paris. It is unknown whether or not he’s the one piloting the drone. But it’s pretty likely. Plus, he was quick to delete the video soon after it became viral. All things considered, Mauritius local authorities have already announced they’ll be starting the investigation soon. From all we’ve seen so far, Mr. Thierry Paris is most likely going to be the first person of interest.